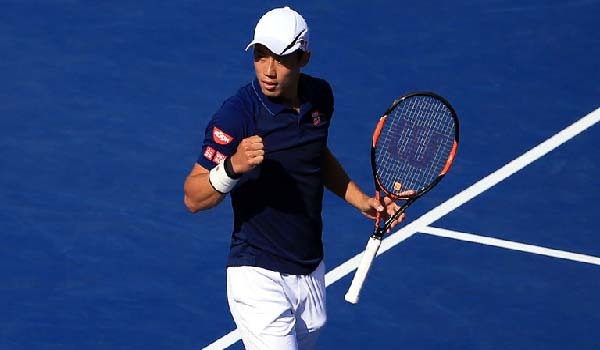 TORONTO, Canada, July 31 (APP/AFP) – Japan’s Kei Nishikori took advantage of a fade in form from Stan Wawrinka on Saturday as Asia’s top player reached the final of the ATP Toronto Masters with a 7-6 (8/6), 6-1 victory. Swiss second seed Wawrinka’s game went away during the tiebreaker, allowing Nishikori to move into his second Masters 1000 final of 2016. The third seed lost to Novak Djokovic at the final in Miami. “Both guys are playing great tennis right now, especially Monfils,” Nishikori said. “He’s won Washington. Nishikori, who is still coming back from a Wimbledon rib injury, will await a Sunday opponent from a later semi-final between Serbian top seed Djokovic and Frenchman Gael Monfils. “It’s just great to be into another Masters final, I’m looking forward to my opportunity,” the winner said. Nishikori was caught on the back foot in the early stages as Wawrinka secured an early break of serve, only to lost it in the ninth game of the opening set. With the battle heading into a tiebreaker, the double Grand Slam champion Swiss took a 3-1 lead. But that slowly slipped away as his 37 unforced errors mounted. The persistent Nishikori held his serve as Wawrinka missed on a pair of set points in the decider, with the Japanese earning the set on his first opportunity from a Wawrinka forehand wide. The second seed was all about the Asian ace as Wawrinka’s game evaporated. Nishikori closed it out on the first of three match points. “I just tried to concentrate in the tiebreaker,” Nishikori said. “I played a point at a time. Wawrinka now stands 3-2 in the series while Nishikori continues to gain confident as he plays for the first time since Wimbledon. The Japanese player now has 40 wins this season. “It was tough to play Kei today, there were tough condition, quite windy, fast. I had a lot of opportunity to take the set. I didn’t. “I should have played better. That’s it,” Wawrinka said.